How about creating a new P2 for any meetup organizers to post event recaps/reports? Now that the site is shutting down, I realized I don’t have a good place to write a blog post about the event we just had last weekend. 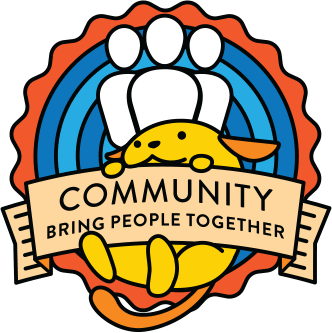 I think it would be great if we had a P2 dedicated to meetup (and WordCamp too?) organizers where they can share event recaps in their language. make.wordpress.org/events/? /meetups/? or any other URL? I would be interested in a place to post Meetup recaps that would be useful to more than the few locals that visit our website. To make it easier to get that information, perhaps some form of integration between Meetup and the P2 could be made, as well as integration that Meetup related sites could use. We post info from events on our site after the fact, and sending those updates to the P2 on publish would be great. Though I am not sure I would have the motivation to post the link to a P2 for every meetup. Would love to see this automated in some way. Maybe the easiest way to do this is to have one (automated?) post per week to receive a pingback. You can include a link to the post and WordPress should take care the rest. I’m sure there will be a more sophisticated solution but that seems to be the simplest way to go. I like the idea of having a centralized P2 for meetup (and why not WordCamp and other community events?) recaps! From what I’m not sure about, is having a automation between meetup.com and that P2. In my opinion, not every meetup is worth of own post. Reading posts about “normal” meetups does not sound so tempting as reading about particularly interesting topics covered, well-organized meetups, what other organizers have learned and how different local communities have grown. I agree, not every meetup needs to be on the shared P2 (though, organizers of casual events should consider sharing what they are doing too because their posts can encourage others to meet up without formal organizational overhead). I think a fully optional space where anyone can post if they want to would be the way to go. Since the feedback received from those who commented is positive, what do we need @nao to make this happen? Do you think putting together a team that works on this and do some project management on Trello could help?